Ivan Tyrrell discusses with Desmond Morris why human beings became creative symbolisers and why so many artists lead dysfunctional personal lives. 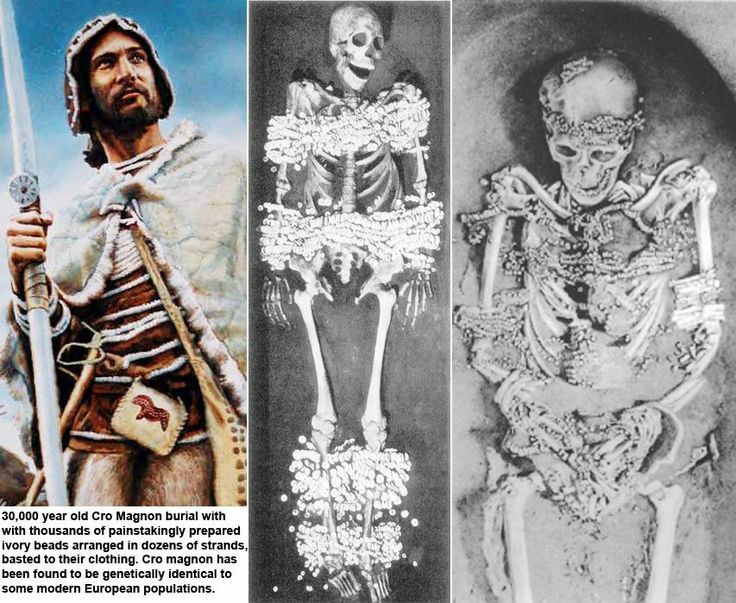 This interview is from the Human Givens Journal Volume 20, No 2, (2013). Interview with Desmond Morris - Our playful species. 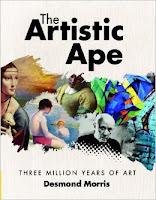 TYRRELL: I greatly enjoyed your new book, The Artistic Ape, which features over 350 fascinating artworks from across the world to illustrate your exploration of the evolution of art over the past three million years. It touches on so many topics of interest to me – not only art history but also the origins of creativity and why we humans have the urge to transform what we see. Yet, back in the 1960s, you were mocked for saying in your groundbreaking book, The Naked Ape, that we had not only basic animal needs but also more complex ones. MORRIS: Yes. I got into enormous trouble for saying that humans have a lot of inborn qualities beyond basic survival ones such as feeding and mating. We are the most playful species, and our brains are designed in such a way that they require continual activity. The worse thing you can do to human beings is put them in solitary confinement with nothing to do. TYRRELL: Absolutely: a terrible fate to contemplate. MORRIS: I think there are two categories of givens, to use your excellent term: the essential ones, like breathing, feeding, drinking, temperature control and so on – those are class A givens because, without those, you quickly die. The class B givens, which are the ones that you’re interested in, make you thoroughly miserable if they are not met, but don’t kill you. TYRRELL: Some people kill themselves when class B needs aren’t met, though. MORRIS: Well, that’s right. So let’s say that from slightly miserable through to clinically depressed and suicidal is the range of conditions you suffer from if your class B givens are not satisfied, and they are the ones that have been ignored. No one can ignore the class A givens. But, back in the 50s and 60s, learning psychologists argued that everything else is conditioning. They thought that we came into the world as a blank slate and society wrote everything on it. When I said that this was wrong and that we had a whole lot of other needs, I was vilified. TYRRELL: You say in your new book that art began with a need – to celebrate a special occasion. MORRIS: Quite so. Life for a herbivore is just non-stop solitary eating whereas, when you kill a large animal, you suddenly have a feast to enjoy and you want to celebrate the knowledge that the tribe isn’t going to starve. So the feast became hugely important to our hunter–gatherer ancestors. Our playful primate brains couldn’t do what lions do – sleep for 16 hours after a hunt and a meal – that didn’t suit our type of brain. We had to celebrate! To make this a special occasion, we started singing, dancing, painting our faces and telling stories. That, I believe, was the root of art. I can’t prove it but when you look at child art, and at the extraordinary artistic creativity throughout all cultures, producing art seems to have become an innate need. We have to visually improve the environment and make it more interesting and this has come out of that early need to celebrate I think. A celebration wasn’t just a playful thing – it was beyond that; it also cemented the social bonds of the tribe. You only have to look at the present hunting ritual of the football match to see the way supporters are cemented together by their love of Darlington United or whatever. If it is their club, they care desperately about the goal being scored, because the scoring of the goal is a metaphorical killing of the prey. And, if they win the cup, huge celebrations occur. The passion and emotion that goes into a simple ball game is extraordinary because it recreates that ancient circumstance and gives people a chance to celebrate. This whole story of elaborating the environment through art, making everything more attractive, more colourful, more complicated, more exaggerated, seems to me to be so deeply engrained that you have to start thinking, well, maybe this is a given too – a deep seated innate need. I don’t see it as an emotional need; I see it in terms of brain activity – the human brain abhors inactivity. One way it adds activity is in what I call adult play: the arts, scientific research, all the activities that we look upon as our greatest achievements are really just forms of adult play. We are exercising the brain and keeping the brain busy and, if you don’t do that in some way or another, then you cannot flourish. TYRRELL: Yes. 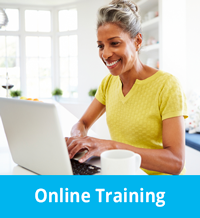 What we talk about is the innate need to be physically and mentally stretched in several ways. A busy brain is a healthy brain. We find meaning in activity. MORRIS: It’s a tremendously important given. I have travelled all over the world, 107 countries now, and haven’t yet found a culture where this need for meaningful activity or play doesn’t apply. I was in an extremely remote part of Africa once, where the people were scratching a living, just surviving; their houses were a few sticks. It was the most appalling inhospitable place I had ever been to; the temperature was about 130 ̊F. They had no belongings – just a couple of spears, a cooking pot and a few goats. Then I looked at their loincloths and they were covered in beads. One particular one had a button and zip fasteners stitched into it; these would have been scraps of rubbish they found somewhere. TYRRELL: Isn’t that strange? And it goes right the way back. Some amazing 30,000 year-old bead costumes were uncovered in a burial site near to Moscow. There were thousands of ivory mammoth beads and it was estimated that each one of them took an hour to drill! MORRIS: The thing is, provided your tribe has the basic survival needs covered, food, shelter and so on, the primate brain won’t let people sit around doing nothing. It isn’t designed that way, so, once you are beyond survival, you have to keep your brain active or you become stressed. TYRRELL: But what about these tribes in South America that spend hours lying about in ham- mocks? A lot of people seem to be content to do very little – in our culture too. MORRIS: Yes, I have one of those hammocks; it took a girl three years to make. It’s a work of art. I am thinking of some tribes in Columbia, which shut a girl away when she first menstruates, allowing her out only at night, to be washed by her mother. She is isolated in a room and has to stay there for her teenage years making a hammock. It is the most beautiful thing, a creative artistic act, rather than something for resting on. When she has finished her hammock, she is released and there is a ritual dance in which she bumps into young men and knocks them over and, after the dance, she chooses one of them and I suppose they get to use the hammock. But, as for doing very little, yes, there are some tribes who at a very early stage discovered narcotics and magic mushrooms and all these other natural narcotics. The one way that you can overcome the human brain’s need for activity is to drug it, and narcotics have been used for centuries for that. TYRRELL: You mentioned child art earlier. I found your descriptions in The Artistic Ape of the innate progression of child art fascinating. MORRIS: It is. A colleague of mine went all over the world giving children paper and pencils and found that, at certain ages, they all draw exactly the same things. She was absolutely astonished. They all start by scribbling, then eventually get round to drawing a circle, then put marks inside the circle. Then they gradually organise those marks into a face and have legs and arms coming out of it. This behaviour is universal, as is drawing the sun with rays coming out of it – wherever you go, if children draw the sun, they draw rays coming out of it. But these rays don’t exist in nature! TYRRELL: So why do they draw them? MORRIS: I don’t know! It’s part of my work to look at specific responses like this and try to work them out. Why is it, for instance, that chimpanzees, without any knowledge of snakes, are still terrified of them, and why is it that children living in this country are also frightened of snakes when there aren’t any poisonous snakes here? It is because their ancestors had to avoid poisonous snakes that we maintain what I call a deep-seated snake response – I wouldn’t call it an emotion. TYRRELL: I would. It’s an innate fear response, and fear is an emotion. MORRIS: Well, to me the emotion is only part of it – there is a whole lot more. But, yes, it is indisputable that we have emotional needs. Research done on social networking versus face-to-face encounters shows friendship can’t be maintained purely by screen because something happens in a face-to-face encounter that is totally different. We are a tribal animal and need face-to-face communication, interaction that is subtler than you get via a screen. I was having lunch last week with a behavioural psychologist friend and we were trying to analyse what it is about face-to-face communication that satisfies the social need more than the computer does. A lot of it has to do with smiling and humour and the incidentals of the meeting. TYRRELL: In your book you say that art is “making the extraordinary out of the ordinary to entertain the brain.” Isn’t that a bit like psychologist Nicholas Humphrey’s silly idea that consciousness just evolved for us to entertain ourselves? MORRIS: I should have said, “to exercise the brain”, perhaps, because entertainment sounds just like a bit of fun. Of course, entertainment is fun, because it exercises the brain and involves play. As I said, one of our special qualities is that we have extended playfulness and curiosity from childhood into adulthood. It is possible, of course, if circumstances grind us down, to lose playfulness. And, of course, the worst thing for us mentally was the introduction of farming, because it turned us back into animals doing repetitive acts, so we were bending over planting rice all day, like a herbivore spending all day chewing. Hunting, on the other hand, was always challenging and full of excitement, skill, brainwork, adventure and danger. Suddenly, through agriculture, we got ourselves into a boring repetitive world that can eventually dull the brain. I was always intrigued by the direct vision that children have, and that sometimes adults get, when looking at something absolutely magical: a butterfly, a flower, a sunset, a beautiful body – anything in the natural world. But then we seem to want to make a painting or take a photograph of this wonder we can see. I studied fine art at art college and I can see the fascination, and I think your book goes some way to explaining it. It’s almost as if we ourselves are a metaphor for consciousness witnessing creation and that somewhere inside ourselves we intuit this unconsciously and we paint a picture or take a photograph as a way of participating in the process of creation. We simply have to do something with our experience. But there is never ever going to be a painting that captures that initial experience that a child has when he or she first stares at a raindrop or a flower. I can remember those intense feelings of connection to Nature when looking at something in that fresh, childlike way. No painting can recapture that feeling. MORRIS: Painters that copy the raindrop or the butterfly are a small part of the history of art. Most artists will look at the butterfly and the peacock and say, “My goodness! That is fantastic!” but they aren’t going to attempt to copy it. The copying of the butterfly was something that happened in European art, partly because it had the job of recording history. Early religious art doesn’t copy nature at all. That didn’t happen until a few centuries ago and then suddenly it became the thing to do and the greatest artist was the one who could capture the exact glitter of a butterfly’s wing. TYRRELL: I agree but I am saying that the feeling you get with direct perception is rarely got from art objects and I am just intrigued by this. People obviously derive great pleasure from decorating themselves and their environment. But the pleasure we get from these things is of a different quality than directly perceiving and contemplating Nature. Art is about something else. I understand you to be saying that it is good for the brain to be doing something – anything – and decoration, celebrating, dancing, music, painting, all those things that we do, including science, satisfy this need. But there are other direct ways of knowing, too. You paint, of course. MORRIS: I do and with art there are two stages; you have to make it before you look at it. With a rainbow you don’t do anything except look at it. But in art, that earlier stage, the making of it, is what is important. You don’t try to copy nature; you try, in your own mind, to improve on it. So humans may put red and yellow paint on their faces and feathers in their hair, etc. In other words, you are trying to exaggerate natural things. You find pigments you can use to intensify the colours that exist. The dull ochre of the earth suddenly becomes bright reds and blues and greens. Art intensifies certain aspects. The beauty of a butterfly is something unmatchable because the planet happens to be beautiful. We are very lucky. And the variety of colours, shapes and patterns available to us on Earth just happen to be extremely complex, compared with, say, Mars or the moon. We have a wonderful planet and I have been exploring it all my life. However, what also fascinates me is that, in every culture, that isn’t enough for people. We have to make our own beauty as well as see the natural beauty. When you make your own beauty you exaggerate, purify, simplify, intensify or change the natural shapes, so that what you are looking at is a distilled and exaggerated form of what’s there. TYRRELL: Indeed, you link the display behaviour of animals to those basic ‘rules’ that art employs, like exaggeration, purification, composition, refinement, thematic variation. They may have to make themselves more conspicuous to win a mate. MORRIS: This is something special to us that we don’t share with other animals: art as a piece of behaviour. 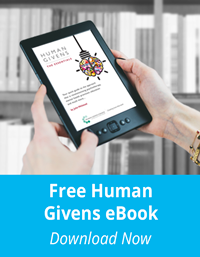 I try to explain how the creative drive arose through having a primate brain and hunter–gatherer lifestyle. I think of art as the greatest accolade one can give to our species. The artistic production of the last 40,000 years is to me the most extraordinary aspect of our species and the fact that we can respond to a sunset isn’t as important to me as the way in which people have exaggerated, intensified, purified and modified the natural world because there you are seeing the human brain in operation: that’s what fascinates me. I find that, if I go to another country, of course I can enjoy the beauty of the undergrowth in the tropical rainforest or the colour of the poisonous frogs, or whatever, but I am actually as excited by the artefacts that I find among the tribes who live there. I don’t see them as in competition or as one being more important than the other; to me, they are two aspects of living. TYRRELL: When I was an art student I wanted to paint like Max Ernst did in his jungle scenes – he would start with an eye, which would become an imaginary creature, and a vast dream- like landscape would grow around it. As I know you are interested in surrealism, could you say something about that? MORRIS: With surrealism you start from scratch without having to worry about representing the external world, so that meant I could explore strange shapes and, as a zoologist, I was interested in biological shapes. So my paintings are of biomorphic imagery and I use my know- ledge of biological shapes, particularly under the microscope, as a starting point. When I was studying the display behaviour of animals, for instance, I realised that in the animal world a red spot was not just a red spot. There were dozens of kinds of red spots. Some of them had a redness that got more intense towards the centre of the spot or towards the periphery or the outline had a slight repetition in it. For most people, though, a red spot is a red spot. But using what I knew from biology in my painting meant that I could make a hundred different kinds of red spot if I wanted to. Then I realised that I could change shapes and introduce my own evolution of ‘biomorphs’ in my painting and that’s what I’ve been doing since the 1940s. I am still inventing new shapes and images. The political side of surrealism didn’t interest me at all. It was just that surrealism released me from the chains that were holding back the artist in me when I was a young man. I didn’t want to copy a still life, a bottle on a table with an apple. I admire the technical skill of someone who can paint an apple to look exactly like an apple but, as far as I am concerned, I’d rather look at an apple. TYRRELL: Yes, but artists might paint something fairly realistic within a specific context that gives it metaphorical significance. A rotten apple can symbolise corruption, for example, or a fading sunset the end of life or whatever. And that does move people. MORRIS: Well, I thought that painting a vase of flowers in art class was an effete activity and wouldn’t have anything to do with it. 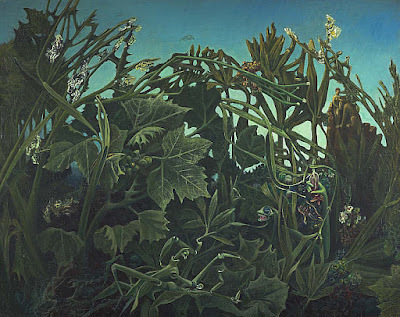 Then I, too, discovered Max Ernst and thought, “This is absolutely amazing,” and then I found Goya’s horrors of war, which were so moving, and I realised art could be something more than just an arrangement of flowers. Landscape paintings seemed to me to be such an inferior version of the real thing, no matter how well done. But when I came across artists who put their own stamp on it, painting a landscape in a strange way so that it wasn’t quite like a real one, but something more – exaggerating certain aspects, eliminating others, perhaps purifying the colours – that’s when I started to get interested. You have to remember that, back in the 40s when I started painting, Picasso was looked upon as a madman. When I exhibited my paintings, I was told they should all be burned in a furnace because, in those days, if you were going to paint, it had to be a landscape, a portrait or a still life. If you did anything else you were considered a lunatic. Queen Victoria wouldn’t give Turner a knighthood because she said he was mad. What Turner was doing is exactly what I am talking about. He was taking a landscape and then exaggerating some elements and reducing others and creating his own version, which was very exciting – way ahead of his time. Although, he was strange. Very strange, actually. TYRRELL: That is something I wanted to ask you about. A great many artistic people I have met, and dead ones I’ve read about, are eccentric and quite dysfunctional in their private lives. In Godhead: the brain’s big bang, the book Joe Griffin and I wrote about what happened when we suddenly accessed imagination about 40,000 years ago, we discuss this very thing. Simultaneously with becoming creative, we began suffering from mental illnesses because, to be creative and see things that aren’t there, you need a touch of psychoticism. But, also, to stick at something for long periods, you have to be a bit autistic. So the downside of this evolutionary urge for creativity, for looking back at the universe, as it were, was the production of dysfunctional people. A lot of artists have really quite cruel relationships with people. Or they are quite context blind, like Eric Gill. He was a deeply religious Catholic, yet had incestuous relationships with his young daughters. It is a heavy price to pay for creativity, isn’t it, to risk madness? MORRIS: Funny you should say that. When I was researching this latest book I realised that, as you have just described very accurately, an awful lot of painters are deeply disturbed. I kept hitting this fact. TYRRELL: You do allude to it. MORRIS: The more I read about the extraordinary personalities of the artists, the more astonished I became. I now know things about Van Gogh, for instance, that I couldn’t put into print. He was an extreme case but there were a lot of others. Leonardo was a procrastinator. Rembrandt was a spendthrift, who had to sell his wife’s tombstone to pay off his debts. And, of course, Caravaggio – that murderous thug, how on earth did he ever sit down to paint those marvellous pictures? He even tried to castrate someone. I think an awful lot of creative people, not just painters, are remarkably disturbed and I plan to write about this next. My working title is Flaws of the Famous. I actually started thinking that you have almost got to be a bit mad to be an artist and then I remembered Henry Moore, an old chum of mine. Henry was the exact opposite, completely down to earth, could have been a Yorkshire farmer, and yet he was the most creative sculptor of the 20th century – in my opinion – and nothing odd about him at all. So madness isn’t essential, but disturbed behaviour in no way inhibits artistic talent. If you look at Caravaggio’s work and you don’t know anything about his private life, you’d never in a million years guess what he was like from his paintings. There is no relationship at all. Yet, in Francis Bacon’s case, you can see a relationship. He was an extreme masochist, as you probably know. He said to me one day, “I think I’ve got the scream but I’m having terrible trouble with the smile.” And I thought, “Francis, yes, that sums up your work rather well.” Of course, the silent scream is something associated with extreme forms of masochism and appears in so many of his paintings. So there probably is a link there, if a minor one. His crucified figures are him, of course, not Christ, which was something that was totally misunderstood – and is why they wouldn’t have him in the surrealist movement. He was very keen to join but they said his crucified figures were too religious. Francis, for whatever reason, didn’t like to tell them that they were self-portraits. Knowing both Francis and Henry Moore taught me that there is no way you can make a blanket statement about the relationship between an artist and his work. TYRRELL: There are lots of mysteries in the arts. I think you should definitely follow up this weird behaviour element. MORRIS: The reason I haven’t so far is because I couldn’t find a common link. I think now that there doesn’t seem to be one. The message seems to be that you can be almost any sort of personality and still produce great art. Balthus’s interest in very young girls shows in all his paintings, so his disturbance is very obvious, whereas, with Rembrandt, there is no sign in his work of his overspending lunacies. TYRRELL: Couldn’t it be that a lot of these creative people are slightly on the autistic spectrum? They don’t have the same sense of self as every- one else and are context blind. A lot of these eccentric behaviours we see are the result of context blindness, the one feature that runs throughout the autistic spectrum. But creative people also have access to the psychotic brain to imagine things that aren’t actually there, and that side of them, maybe right- or left-brain or whatever, sometimes touches something sublime and lets them do what Caravaggio and other great painters have done. This psychological flaw, where the templates to read context have been disturbed, is what sends them on a search for meaning. I believe something like that is the link you’re looking for. MORRIS: Yes, I often wonder—but, as a scientist, I have to be concerned with extreme objectivity. That is my discipline, and I have to look at a species and try to report on its behaviour with- out influencing it from my own personality. I have to be totally objective in my analysis and that’s what I tried to be in The Naked Ape. We can’t be more than animals because, genetically, that is all that we are – but we are exceptional animals. In all our status battles and social gatherings, we are just like chimpanzees. It’s when it comes to creativity, inventiveness and innovation that we are unlike animals. Interesting research on Japanese macaques showed that the youngest members of the troop were the innovative ones. It was the young monkeys that learned to wash potatoes to get rid of the grit and the older monkeys, which had lost that sense of innovation, were the last ones to adopt this new discovery. Gradually, this innovation spread through the troop but the higher up the troop the slower the spread. So you had this contradiction that the animal with authority didn’t innovate. The animals with no authority, the young ones, had the creativity and ability to innovate but that meant progress was very slow. In our species, many old people can’t stand new-fangled ideas and technology but the difference between macaques and us is huge – the grumpy old man who doesn’t like new-fangled things doesn’t have the impact on society that the older monkeys have on their troop. This is why our societies have remained open to new discoveries and inventions, and the healthier the culture the more open it is to them. On my travels I occasionally hit a society under a tyranny and, my goodness, I am glad to get out of it. I was in Russia back in the 60s and it was really depressing because you could feel the whole culture had been suppressed. I feel so lucky to have lived in a time when we are free to express ourselves creatively. It is sad to think that it is possible for a political system to impose itself on the playfulness of the people. Politics tends to forget that we are a playful species. What interests me, however, is what speeded up the creativity factor – I haven’t dealt with it in the book because I am still puzzled over it. Something seems to have happened at a certain stage, all those tens of thousands of years ago. TYRRELL: Yes, the explosive origin of creativity. It was so sudden! 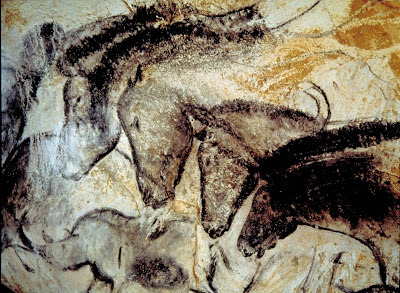 Those lovely horses and bears painted in the Chauvet cave 32,000 years ago, drawings which the average person couldn’t do now and yet, just a few years before that, there was no sign of anything comparable in Europe, Africa or anywhere else. They are better than the paintings done at Lascaux about 14,000 years later, which is another weird thing. Joe Griffin and I have a theory about this. Michel Jouvet’s laboratory work with cats and dogs demonstrated that animals dream in the REM state and, as we are obviously animals – as you keep reminding me! – it is no surprise that humans also dream. The REM state is a kind of internal theatre. Joe Griffin studied dreaming and he made the major discovery that dreams are metaphorical means of deactivating unexpressed emotional arousals from the previous day. For safety reasons, all mammals have to suppress arousals in certain circumstances, and these patterns of arousal are discharged by dreaming. MORRIS: Yes! That’s the point I make about religion, too; it couldn’t start until we had a future tense. You can only think about death if you have a future tense and then you suddenly ask, “What is going to happen to me when I die?” So you visualise an afterlife. We don’t, of course, know or not if there is some other form of existence. As a scientist, I have to say that the evidence is against it, but I have no proof. So the future tense enables us to visualise the afterlife and this is my definition of religion. But I absolutely agree with you. I have always said that developing the future and past tenses was a crucially important step in our evolution. TYRRELL: We could talk about abstractions for the first time. It expanded the context in which we lived a thousand-fold. MORRIS: And it meant that, at a certain point in our evolution, we became symbolisers. TYRRELL: And that’s connected to dreaming, although the explosive evolutionary development – the relationship between consciousness, day-dreaming, metaphor, language and creativity – hasn’t really been teased out by scientists yet. Most people don’t talk about these topics in a holistic way. Why, for example, did people go deep down under mountains to paint pictures on cave walls? One reason could be that, down there, you didn’t have the distractions that you had out- side, when you had to be alert to every rustle in every bush and every blast of wind or sudden movement, or whatever. To go underground so as to really concentrate and draw mammoths, horses, bears, rhinoceroses and all the other things they painted and drew so beautifully would initially have required great discipline. It also required the ability to go into a trancelike state and draw from memory, whilst awake and interacting with material things like the paint, candlelight and rock surfaces. I’m sure it was an amazing evolutionary jump of more significance than most people realise. MORRIS: It was. I was lucky that I went into Lascaux before it was closed. That wonderful image of the Lascaux horse, which I use at the beginning of the book – it is just extraordinary. The impact of that visit on me was enormous and I came away full of questions of the kind you are asking. 32,000-year-old Chauvet cave paintings clearly show overdrawing typical of autistic children’s drawings. TYRRELL: What is remarkable in some of the caves is the over-painting or over-drawing – you look up at the roof and the guides tell you there are mammoths there and all sorts, and you think, “Well I can’t see them!” Then gradually you can, and you realise that they have been overdrawn again and again. Overdrawing is what autistic children do. That is another clue pointing towards what I was suggesting earlier, about how the consciousness we have now is connected to autism and psychosis. MORRIS: Well, yes, that certainly is interesting. TYRRELL: In The Artistic Ape, you raise the issue of long-lasting religious societies, such as those of Ancient Egypt, or Christianity itself, having a constraining effect on the playfulness of artists, yet most people would still say, even if they are not religious, that walking into a cathedral or beautiful mosque is a stunning experience. MORRIS: A rule introduced quite early on in the Islamic story forbade pictorial imagery of any kind. That restriction was fairly widely imposed but I also make the point that the Blue Mosque in Istanbul, where there is not a single pictorial image, has an enormous aesthetic impact. When you get religious control over the form of art, it can’t stop the artistic impulse – all it does is to push it in a different direction. So, much Islamic art became abstract and the abstract art of Islam is glorious. To me it is a shame that there should be an inhibition of any kind but, if you are suppressed, you find a way round it. TYRRELL: When you bring up children you need to set boundaries for them and I suppose the boundaries set by the religious cultures in those days was actually good for art because creative people had to make an extra effort to rise above them. They strived to produce something new within the limitations. When you restrain energy, chaos retreats. TYRRELL: That is a beautiful metaphor for what I was trying to say. MORRIS: If you can’t have bright colours, you build a cathedral. So restrictions can be valuable in controlling the water in the river – but you can still be creative without them. TYRRELL: Without those restrictions, perhaps we might not have achieved so much. Having restrictions sort of kick-starts creativity. MORRIS: It’s true that even the most tyrannical cultures, if you think of the Aztecs and the Incas in pre-Columbian South America, for instance, produced great pyramids and works of art. I think this in some ways encapsulates the whole essence of my book: you can’t keep the human artist down, no matter what you do. 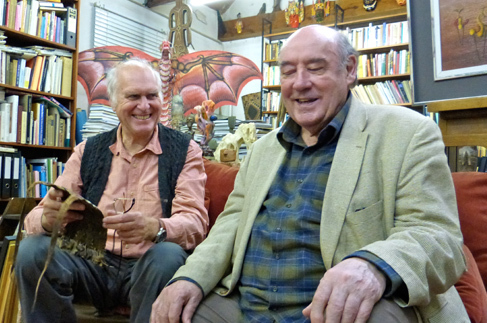 Desmond Morris is an internationally renowned zoologist, ethologist, anthropologist, writer and broadcaster. He is the author of many bestselling books on human and animal behaviour, including The Naked Ape, Manwatching and Babywatching. 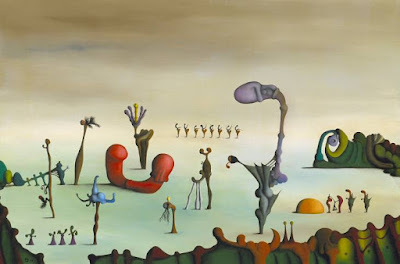 He is also a surrealist artist whose work has been exhibited alongside pieces by Spanish painter Joan Miró. His latest book, The Artistic Ape: three million years of art, is published by Red Lemon Press at £30.00. 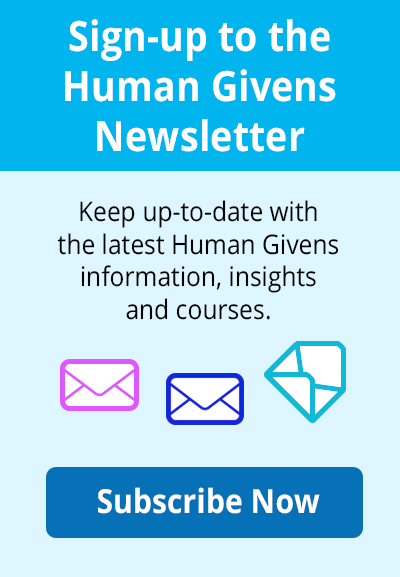 Ivan Tyrrell is the Editorial Director of Human Givens and co-founder of the human givens approach to achieving mental health. 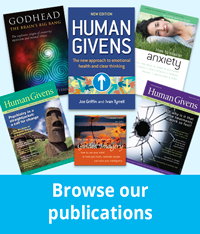 His latest book, Godhead:the brain’s big bang, co-written with Joe Griffin, explores the links between creativity, mysticism and mental illness.